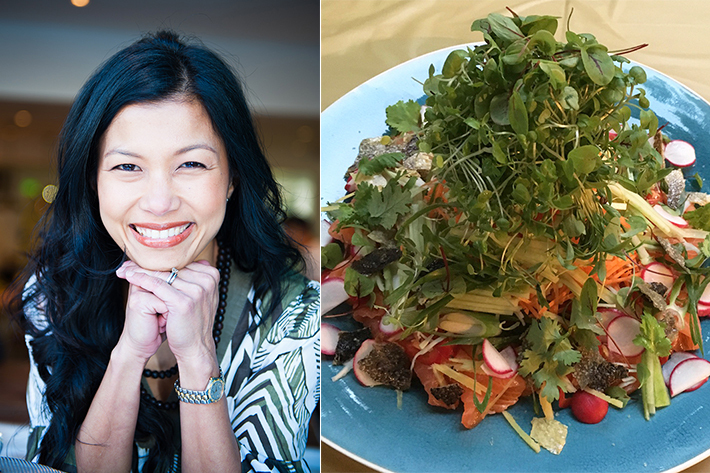 Audra Morrice, best known as a resident judge on MasterChef Asia and a finalist in MasterChef Australia 2012, has constantly impressed many with her ability to cook and bake and is now also a culinary consultant for many organisations and an ambassador for Singapore Tourism Board. Following her success, this Nigella Lawson of Asia has her own cooking series—Tasty Conversations. From 26 to 29 October 2017, fans in Singapore will have the privilege to taste her cooking through an exclusive 5-course wine dinner at Pool Grill at Singapore Marriott Tang Plaza Hotel. At S$128++ per person, gourmands will be treated to a lavish feast, as well as an opportunity to get up close and personal with Audra. Using the best of Australian produce and Asian cooking styles, allow Audra to take you on a magic carpet ride of flavours and textures expressed through her indulgent creations. Set amidst the enchanting ambience by the pool and under the starry skies at Singapore Marriott Tang Plaza Hotel; this is an evening not to be missed. Up for a tantalising seafood buffet with the freshest catch of the sea? 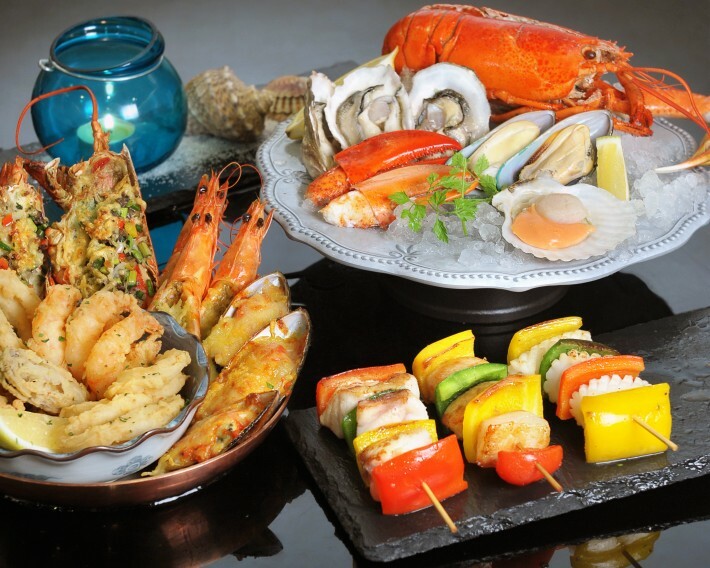 This March, Marriott Cafe is whetting the appetites of seafood lovers with the best of seafood from countries including USA, Canada, Alaska and Asia, western favourites, and a great selection of appetisers and desserts. From 01 March to 15 March 2017, indulge in more than 50 irresistible seafood and International delights every evening at just S$88++* per adult and S$44++* per child. You may also complement your seafood with a bottle of Prosecco at $55. With the Lunar New Year happening this month end, we bet you are just as excited about the festive season as much as we are! 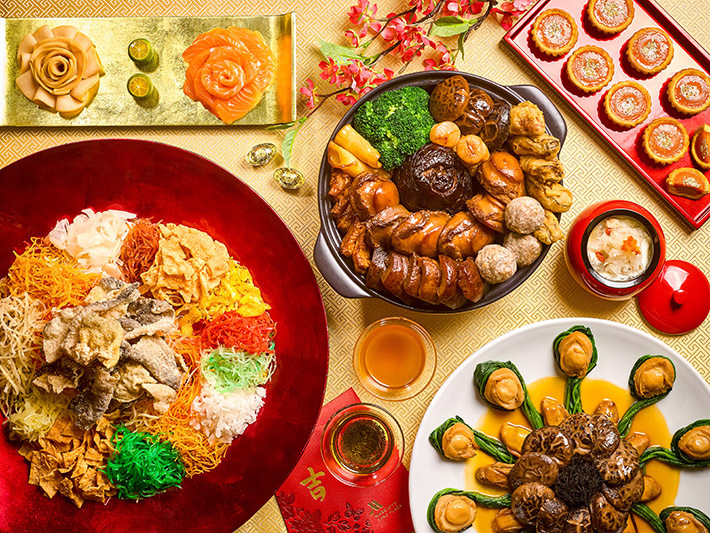 Some of the most important Lunar New Year traditions include the annual reunion dinners, gatherings with friends and definitely the festive feastings. And, Singapore Marriott Tang Plaza Hotel has ingeniously come up with a multitude of ways to elevate your celebrations to new heights. From 09 January to 11 February 2017, you and your loved ones can embrace the full splendour of the year of the Fire Rooster with resplendent Lunar New Year reunion specials, lavish takeaway goodies, buffets and symbolic treats! Our readers can quote ‘ladyironchef’ and book the Chinese New Year Eve Set Menu before 15 January 2017 to enjoy 20% off (minimum of 6 pax). The best part about the end of the year is undoubtedly the parties and food that awaits us all. We are already making plans for our Christmas and New Year dinners with family and friends, as well as the place to be on New Year’s Eve. Singapore Marriott Tang Plaza Hotel is the one-stop destination for everything festive. From a New Year’s Eve Countdown Party that is set to dazzle and delight, to a New Year’s Eve spread for the family, Singapore Marriott Tang Plaza Hotel has what you’d need for that fantastic New Year’s Eve celebration with your family and friends. Ready for more Christmas feasting? Each year, we look forward to Singapore Marriott Tang Plaza Hotel’s amazing festive offers for they are a perennial favourite, offering one of the best Christmas treats in town. 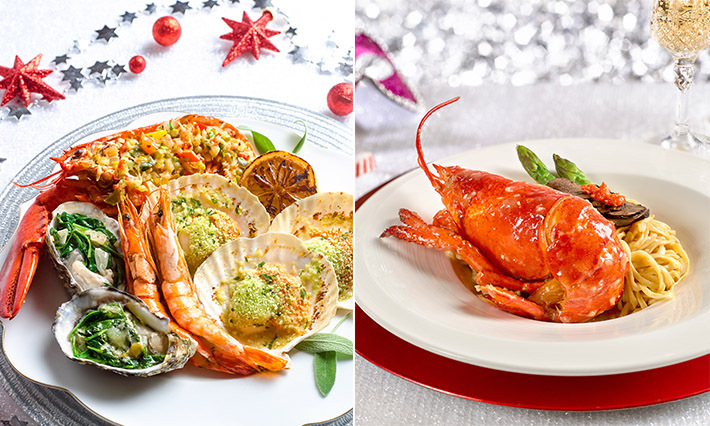 From international buffets with free-flow of sparkling wines, beers and soft drinks, to a sleigh of delectable takeaway Yuletide goodies to value-for-money staycation package, Singapore Marriott Tang Plaza Hotel is armed with enticing gifts to make your Christmas a memorable occasion with your loved ones. Keep your eyes peeled as we reveal the best of all the goodness Singapore Marriott Tang Plaza Hotel has to offer this festive season. Thanksgiving is all about showing your gratitude and enjoying a lavish feast with your loved ones. 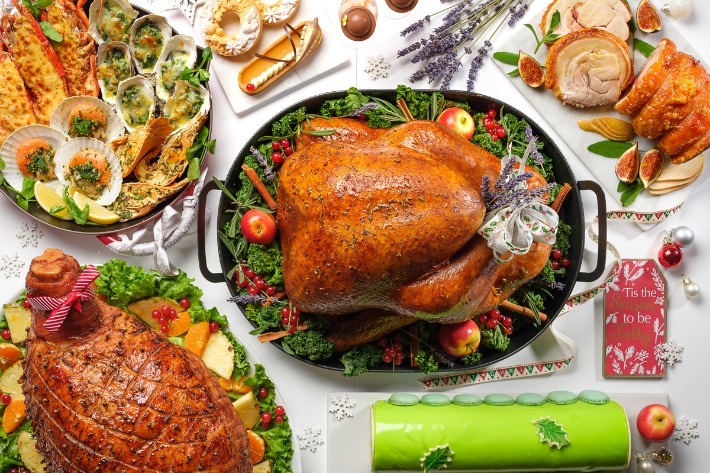 This Thanksgiving, Singapore Marriott Tang Plaza Hotel will be whetting your appetite with an extensive and mouthwatering buffet dinner brimming with both traditional Thanksgiving delights and international highlights at Marriott Cafe. For a unique and intimate Thanksgiving celebration amidst a tranquil, resort-style ambience do head over to Pool Grill, where a special 3-course Thanksgiving dinner awaits. And if you prefer dining at the comfort of your own home, there are lots of seasonal takeaways available at the Hotel’s Festive Forecourt Stall, located by the hotel entrance. 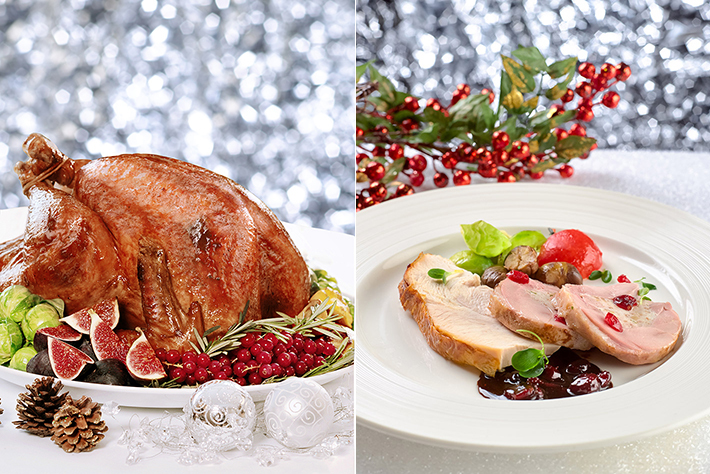 ‘Tis the season to be jolly and we have every reason to be at Singapore Marriott Tang Plaza Hotel’s Marriott Cafe for one of the most magical Christmas celebrations. The visually-arresting festive buffet spread will impress even those with discerning tastebuds – so yes, this restaurant will set the scene for all your Christmas celebrations. 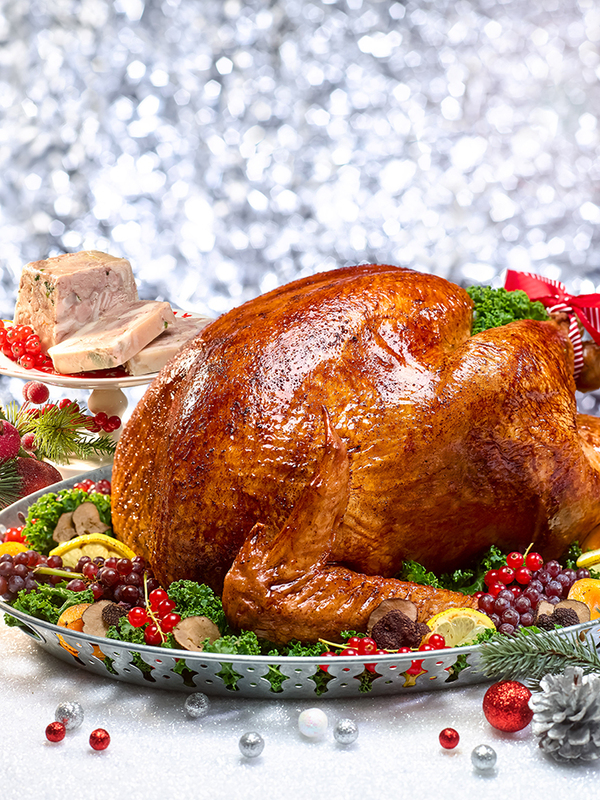 The lavish festive buffet setup includes an exciting selection of premium roast carvings, succulent fresh seafood, top-notch charcuteries and winter veggies – there are more than 60 festive treats that will send you to gastronomic heaven. Keep your eyes peeled for the colourful showcase of Christmas desserts that fortunately taste as good as they look. Several tantalising Asian-inspired delights are also available, so the traditional folks can also have a jolly good time at these festive celebrations. 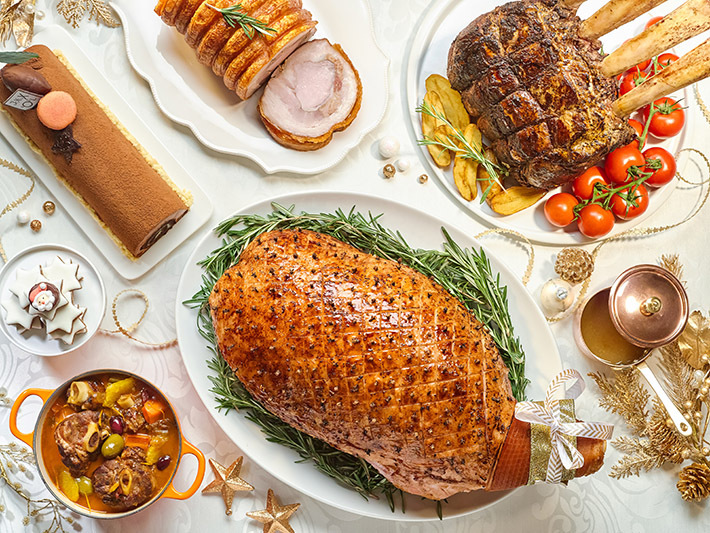 Besides the buffet, Singapore Marriott Tang Plaza Hotel is elevating your celebrations and taking away all your stress with delicate Christmas Takeaway Goodies such as traditional roast turkeys, enticing log cakes, assorted artisanal cookies, home-made puddings and luxurious hampers.